You are searching for a high-quality WordPress hosting for your WP projects. With easy to use control panel, loads of features and affordable to buy. But, you are confusing to decide which hosting and plan or feature must for you and which don’t. Don’t worry, I am here helping you to find and make to decide to buy Affordable WordPress optimized web host. Things to consider while buying WordPress hosting packages for your business or projects. 1 What are the Minimum Requirements for Hosting a WordPress Site? 2 How many types of WordPress hosting Plan present and which is suitable for me? 3 Things to consider before buying WordPress hosting for your business or projects. 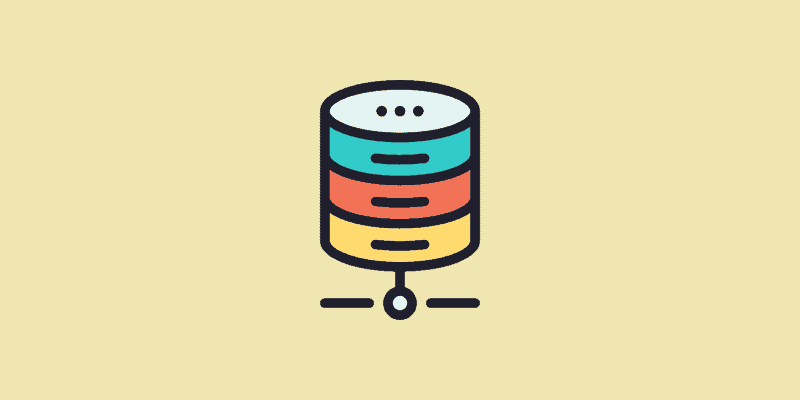 What are the Minimum Requirements for Hosting a WordPress Site? WordPress is a lightweight software and easy to run on any web server in the world. Which have a PHP and MySQL(replace MySQL with your favorite database name) installed. MySQL Version: 5.6 or Greater OR MariaDB version 10.0 or greater. But for PHP, always choose a host which provides you a version 7.2 or higher for your installation. As we know, WordPress is the world’s leading software for creating websites for your projects. You may find many scripts and tools installed on your hosting account to install and fine tune your WP installation. Note: I preferred Nginx on Apache but both work fine if your caching setting is great. How many types of WordPress hosting Plan present and which is suitable for me? Due to mammoth share in the online world (28% website use WordPress). You can find lots of companies provides a different plan for hosting with them. And, it’s confusing, especially for first-time users. In below lines, I explain four types of WordPress hosting with pros and cons of them. I also guide you which plan suitable for your next projects. I love free things and you should too. Isn’t it? There is a lot of free hosting provider in the market who provides free hosting WordPress. But with the catch. Generally, you find these types of offer in Google organic listing or small group or in the forum. These companies or people give you limited free space in exchange for a link or displaying their ads on your site. I think it’s fair because of nothing free in this world, especially in online worlds. Increasing load time means fewer visitors and lower ranking in search engines eyes. No security at host level. Deletion of your website without giving you a proper warning or notice. I use free hosting 2012 when I launched my first WordPress powered website. In two months while checking my website in incognito mode, I found all my site traffic redirect to some Chinese site. I know buying an hosting in India for newbie blogger is still expensive, but in the long run, it helps. Advice: Avoid free hosting at any cost. Shared hosting is the most popular type in WordPress hosting universe. It’s popular for beginner bloggers and small business owners. How shared WordPress hosting works? When you use shared hosting for your next WP site, you and hundreds like you split and use same server resources. Why Shared WP hostings are favorites for Newbies? Low Cost: Cost is the major hurdle for newbie bloggers and small business owners. Sharing hosting server space with the plethora of users help to keep it small. Easy to Setup: Many newbie bloggers and small business owners are not a tech-savvy people. Shared hosting provides 1-Click install scripts for easier installation process. The best part of Shared hosting is a low-cost plan. If you are starting a new WP venture or want to start your hobby blog, it helps you to save huge money. You still have all feature which is present in the higher plans like 99.99% uptime, WP-CLI support, DDoS protection with 24×7 protection. Note: If you are in starting phase, choose shared WP hosting provider. You can migrate to higher plan when it’s not enough for you. What if your website does not fit in a shared hosting environment? What if your website hits Reddit front page? What if your article shared by industry influencers and you are using shared hosting? You definitely get Email from your hosting company to upgrade your plan, or they will suspend due to high traffic. But, you don’t want to spend your fortune on dedicated servers. Because you know it’s temporary and everything back to normal in one or two days. For these situations, Virtual Private Server hostings are better than shared hosting. How WP VPS hosting works? You still shared hardware with other users, but you get little-dedicated space for you. This gives you almost as much control as a dedicated server, give you a dedicated IP (great for SEO). You can install any OS here, with your preferred software. Managed VPS: In this type, hosting provider responsible for everything like updating software, hardening security and etc. Unmanaged VPS: In this type, you are responsible for everything from installing software to fine tune your server. Managing a VPS is a fun for me with EasyEngine. EasyEngine helps me to install battle tested WordPress installation with one line of code. Everything is done via command line. If you are not able to set up your VPS by yourself, choose managed VPS hosting or Cloudways like services. Note: Unmanaged VPS for WordPress hostings are cheaper than Managed VPS for WP hosting. Managed VPS Suitable for Technical Bloggers, Non-technical Bloggers, High traffic websites and blogs, Medium sized business, Developers, and Designers. FYI: This blog hosted on Impact VPS lowest Unmanaged plan and able to handle any temporary slashdot effects. You can launch Speed Optimized WordPress Installation with Cloudways in just 10$. Don’t want to share resources with neighbors, then don’t. We have a solution for you, buy a dedicated server from your hosting company. How WP Dedicated servers works? You are purchasing physical server via your hosting company, and you are the sole responsibility for it. This allows you full control over the server like the choice of hardware and software. 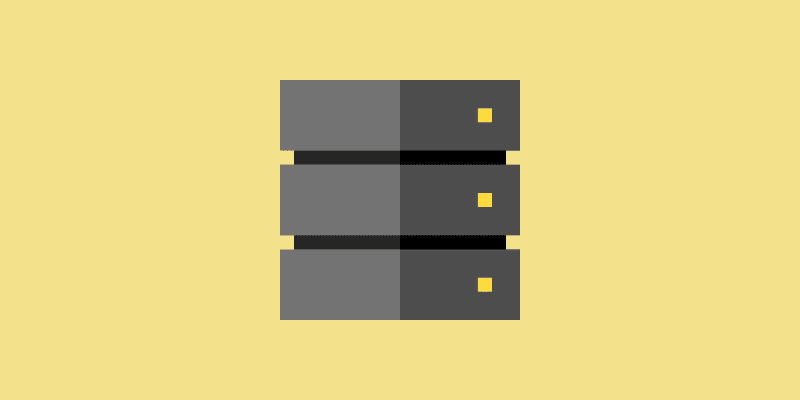 Like VPS hosting, dedicated servers have two types. Unmanaged Dedicated Server: If you have the knowledge of servers and how to install and manage it, then buy it. Otherwise, go to the Managed dedicated server or find a system admin who’s responsible for your server operations. Managed Dedicated Server: If you don’t have technical knowledge but still want a dedicated server for your business, go for it. Above types are general in the hosting industry. But due to massive demand and heavy usage of WordPress, hosting companies offer a Managed WP Hosting solutions. In this type of hosting, you are not responsible for anything. Everything is done by hosting partner. They optimized your website for performance and speed. Taking backups and make your WordPress installation up to date. They tell you to choose the right themes and plugins for your website. In this type of hosting, you can’t install anything except WordPress, which is good. Managed WP hosting provider provides you a superior performance with top-notch support. Because their support staff has lots of WordPress experience. This helps you to avoid any problem in the feature. Note: Managed WP hosting are costlier than Shared and VPS hosting. Things to consider before buying WordPress hosting for your business or projects. We want a top-notch WP hosting for blog or business, Right? But how can we differentiate between companies, which is top-notch and which not? So, here some criteria or checklist for things which is consider before buying your next hosting. You can test your existing web hosting using the post and tell me your current hosting provider experience or score based on a checklist. Note: WordPress has four major hosting type. You see some check not applicable to your current hosting type. 24×7 availability is a crucial need for every business in the world and applies in the online world also. Think, someone, refer potential customers to your website but unfortunately your site down. It’s not your fault but what happens in this scenario? You will definitely lose one potential customer. Your website often offline without any reason? You lost many potential customers and still, you pay for those offline hours or days. Right? Always check your potential web host uptime guarantees and promises. Never settle below 99.99% guarantee on any hosting plan. Don’t believe in written words on web host site, check online uptime review for that web host. Above lines are great for before buying decisions, what if you have a site already or want to check purchased hosting uptime by yourself? Note: Never settle below 99.99%, even if you want to buy cheap shared hosting. When you choose any web host or shortlist web host for your next WordPress project. Keep below lines in mind. Look for hosting partners for a WordPress site, whose always updating server software. As we know, WordPress support PHP version 5.2.4, but PHP team release version 7.2 and it’s twice faster than PHP 5.6. Updating software to latest version helps to avoid a hacking attempt on servers. This makes your WP site secure at the server level. It also helps your WP website to load faster, How? Every new update includes bug fixes and improved code over the earlier release. Which helps you in loading time and reducing TTFB at the server level. Note: Latest software and hardware helps your website to load faster and helps to avoid a most common security problem. WordPress has lots of Caching Plugin and some plugins are the best for boosting WP performance. My personal favorite is WPRocket and Cache Enabler. But, these plugins can’t beat host level caching solutions. When someone connects to your site, the browser first connects to hosting server. Then server executes commands related to user need and gives them what they want. The server connects to WordPress database and then caching plugin comes into action. The server gives the required output to the user without requesting WordPress. Note: Server level caching helps you to focus on your WP site rather than tuning your WordPress site for huge traffic. Choose A2 WordPress Hosting or Kinsta. We are talking about a specialized WordPress hosting provider. How can we forget features which are specific to WordPress itself? What are the WordPress specific features? I am an SEO guy and always check google for tips for helping my website to rank better and faster in search engines. If you search for Google to find specific query. Sometimes you observed two sites have the same knowledge. But a site with HTTPS rank above than an HTTPS site. Because Google recommends using SSL on your websites. How SSL helps WP Sites? First, it helps up to rank better in search engines. Second, If your host support PHP version 7 and you install SSL certificate. Then your website loads faster than before due to HTTP/2 technology. Check HTTP/2 demo from CloudFlare. Please note HTTP/2 only support website with SSL certificates. SSL also helps you to gain trust if you want to sell at your Commerce sites. If you don’t have enough money, go for hosting with Letsencrypt enabled. Or, use free CloudFlare flexible SSL. You have a clear idea about your next big WP hosting search. Keep in mind, Nothing free or Unlimited in hosting the world. Choose and select your host wisely. If you still have any doubt, ask me in comments. If you like or think this post helps you, share with your friends. Managed WordPress hosting is the best. since the provider takes care of everything, the site owner can worry about running the business rather than worrying about hosting. That’s true but nowadays many hosting providers looting customers in the name of Managed WordPress Hostings. Disclosure: Some of the links in this post are “affiliate links“. This means if you click on the link and purchase the item, I will receive an affiliate commission.